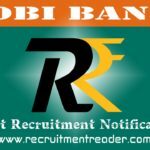 Latest Dhanlaxmi Bank Recruitment Notification 2019 – Dhanlaxmi Bank invites applications for the position of Internal Ombudsman. Dhan Bank announced one vacancy for the post. Candidates who have eligibility as per Dhan Bank advertisement may forward their resume to the given email address on or before the last date. The last date to submit resume via email is 29.03.2019. 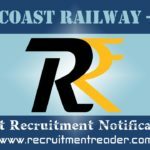 Selected candidates will have work location at Head Office, Thrissur (Kerala) for three years on tenure basis. Before apply for the positions, candidates should ensure that they fulfil the eligibility conditions given in the advertisement. Also be aware of job profile, job requirement and application process from the advertisement. Keep check bank jobs category page for upcoming and latest Bank Recruitment Notifications. Dhanlaxmi Bank will not consider the applications received after the last date. So, send the resume through email to the mentioned email address on or before the last date. Upper age limit is 62 years. Retired or Serving Officer not below the rank of DGM. Look into dhanbank advertisement for more details of qualification. Minimum 07 years of experience in banking and relevant field. Look into dhanbank notification for more details of required experience. Send the application with required documents to the email address recruitment2019@dhanbank.co.in. Find more government job notifications and private sector notifications @ Recruitment Reader. Here we provide short details of Age Limit, Educational Qualification, Job Requirement, Selection Process and Application Procedure. Look into Dhanlaxmi Bank Notification for more details regarding the recruitment. 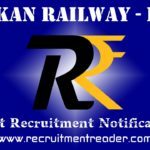 For more details regarding Dhanlaxmi Bank Recruitment Notification 2019 logon to www.dhanbank.com. The information given above is based on the Dhanbank official advertisement. 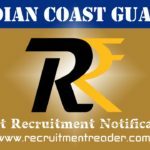 Dhanlaxmi Bank invites applications for the positions of Head Treasury under General Manager (Scale-VII) Cadre, Chief Risk Officer and Chief Vigilance & Security Officer under Deputy General Manager (Scale VI) Cadre. 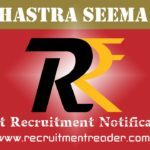 Dhan Bank announced vacancies for Head Treasury at Mumbai (Maharashtra) and other posts at Thrissur (Kerala). Eligible candidates may forward their resume to the following email address on or before the last date recruitment2018@dhanbank.co.in. The last date to submit resume via email is 10.09.2018. MBA/ Chartered Accountant from a recognized institute. Minimum 15 years of experience in banking and relevant field. For more details regarding Dhanlaxmi Bank Recruitment Notification 2018 logon to www.dhanbank.com. The information given above is based on the Dhanbank official advertisement.